Only five days to go now until the official launch of ‘Value Scotland’ in Edinburgh on 13th February. This is just the first part of the Maturity Institute’s ‘Value Nations’ Project. This has nothing to do with ‘nationalism’ and everything to do with everyone on the planet working together towards a common purpose of Total Stakeholder Value (TSV). There are many reasons why we chose Scotland as the first nation, too many to mention, but history is certainly up there with the most important. The Scots have nearly 2000 years experience, since Hadrian and the Romans, of being held back by walls and borders. History is repeating itself today in several parts of the globe with new walls appearing to separate humanity. So ‘Value Scotland’ aims to reveal just how much human potential has already been lost in this pointless and self-destructive endeavour. One thing in which MI has developed great expertise is how to work with those who hold their people back. There is not much we can do to make the ‘comfortable’ want to change or the ‘ignorant’ to want to learn but what we do know is that presenting compelling evidence is bound to prevail in the end. 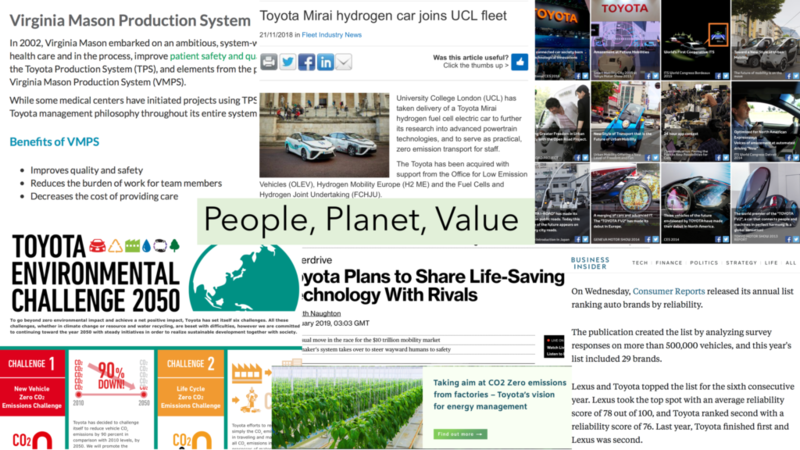 One key message I, and my MI colleagues, will be relaying to the audience next Wednesday evening, is just how far ahead mature firms like Toyota are from all of their global competitors; many of whom have tried to copy its system of human potential management but have failed. Some have even built environments that encourage their employees to resort to cheating in order to gain. What is holding these companies back, and their customers, and society, and the necessary progress to heal our impact on the planet, is a mental wall that can only be dismantled through a mature education. At MI, we teach the invisible factors that have enabled organizations like Toyota to lead the world in a direction that is in everyone’s interests. 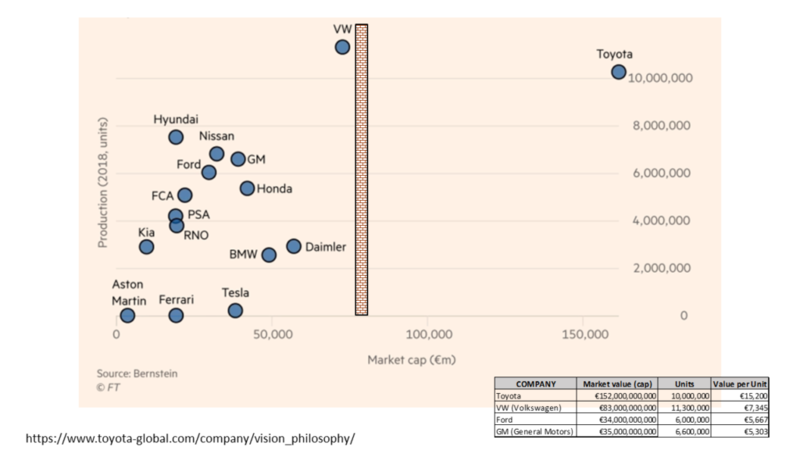 For here is a car company that alongside financial outperformance, has shared its secrets with thousands of other firms, shares its IP such as life-saving technology, has been planning for a fossil fuel free future for decades, and consistently delivers the best quality products ahead of its peers. Value Scotland is based on this same premise and we will be teaching these lessons in the world’s first, Whole System Management MBA programme that we are running in collaboration with the University of Edinburgh Business School on the 13th as well. One organization that put no walls or barriers in the way of Value Scotland.